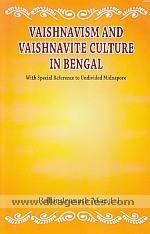 This book on Vaishnavism and Vaishnavite Culture in Bengal with special reference to Undivided Midnapore, West Bengal is an exhaustive study based on close field investigation throughout the district Midnapore. No such district based study of the concerned topic has been published so far. Thus it is a new venture and the readers will find many interesting feature of Vaishnavism and its culture.